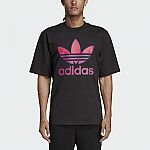 eBay has 20% off select Activewear orders $25+, including Adidas, PUMA, Reebok and more with promo code "JSPORTY". Sale ends 3/25/19. Shipping is free.